Note: This article considers small size web startups that start with 2-3 people team. It does not cover high value startup projects (as in such cases a business plan has to be written by default); although in some cases it may be applicable to them too. In these days of Web startups, where cost of launching an online venture has reduced drastically, writing a Business plan has become kind of passÃ© or old fashioned. I see numerous small startups come to fore purely based on a single idea that can be executed at low cost. In such cases is it important to write a Business Plan? Yes, it very much is! 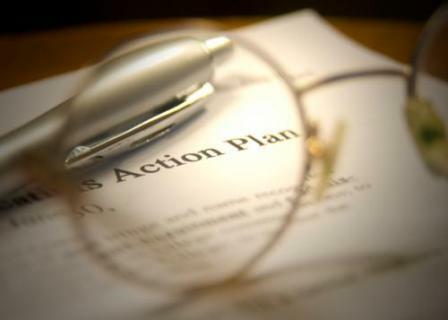 A business plan is preparedÂ not only for getting venture capital or funding. It has lot more to it. It is for the entrepreneur himself and his team more than for any one else. 1 It will force you to think at granular level from start to end. 3 it will provide you with clarity of timelines. It will force you to think at granular level from start to end. However well you may have planned the project in your mind, the process of writing it in black and white triggers new thoughts and forces you to analyze lot more than you would normally do. With all the new thoughts and analysis that trigger with writing a business plan, more often than not, the vision and end goals will change that will have solid foundation and reasoning of their own. The chances of success improve drastically as the project is now based on deeper analysis and more realistic end goals. it will provide you with clarity of timelines. We are living in an age where time is of most essence, especially if you are planning an online venture. How many times has it happened that due to delay in launching a project, someone else has launched a very similar venture? Although, this can happen anytime, writing a business plan will give you clearer idea about effort, resources and timelines required thereby reducing the risk to a large extent. Writing the business plan is a grueling process that forces you to think clearly about how all aspects of your business will come together. Some of the assumptions that you have at the start may not hold true by the time you finish writing the business plan. This provides better insights on potential pitfalls and thereby the project feasibility. This according to me is very important. When decisions are taken based on concrete analysis and reasoning, it makes you feel completely confident of what you are doing and Â it plays a major role in the success of your venture. Although, the business plan needs to be updated based on changing circumstances, preparing it before starting your project has many advantages that are important for the success of your project. True!! But one should never spend more than 25% of energy in writing B-plan. If you are idea can be tested at least a prototype can be developed with less risk capital focus on building that rather than preparing slides and writing mundane stuffs. Just draw a roadmap and budget on a 1-2 page and few main points in another page. A Business Plan is essential. I think if it is going to be your soul and life for the next few years, you should be able to clearly define the scope, competitors, strategy, financials and exit strategy. We’re specialized in development solutions for small & medium business across the India. Our services cover every aspect of web development, from start to finish. We has the skills & capacity to work with you to meet. â€¢ Website Development in cheap rate. â€¢ SEO for your website & page rank. We analyze customer base to generate inquiries and share the customer requirements integration and feasibility study and provide you the effort estimation. the development lifecycle of the project and the profit. This is really good article, your business plan should always accompany requests for small business loans, and lenders or any kind of angel investor will simply refuse to consider your business proposal. Check out this article of one of my classmates who is starting his new venture.
. He was seeking funding, and the last time I spoke to him, he is in about the 20th version of his Business Plan. It seems to be getting better and finer (at least on paper). He has everything. From the team, to the timelines….I see that and often realize the importance of a business plan. Go for it !